Considering Using SEM (Google Ads) for Your Practice? Search Engine Marketing or SEM is the promotion of a website by improving its visibility in search engine results. Sounds like a logical process right? You want to get more people to visit your website, explore your services, and make an appointment for PT. 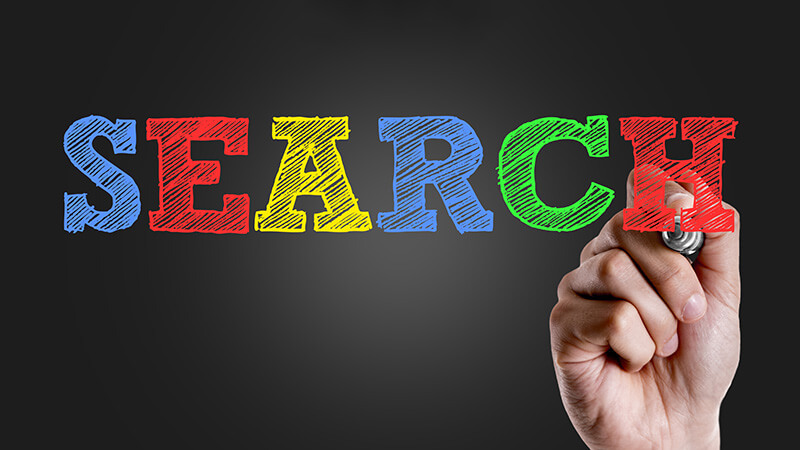 We know that the vast majority of people (over 90%) use online search to gather more information and to make educated decisions. Therefore, your physical therapy practice should be easy to find online to enable more people to see you for care. But how can you impact search engine results? First, you can optimize your website’s SEO to enhance organic search results. See how in our blog post, SEO for Physical Therapy Websites. Using specific keywords, including page titles and meta descriptions, and focusing on geographic references can significantly improve your website’s searchability. Relying on organic search alone works well for many practices, especially those with specialized service offerings or without much local competition. For practices that are more generalized and those in more populated areas with an array of PT clinics nearby, SEM might be the trick to capturing more patients online. Now, we specialize in advanced tactics that cut that time in half for many of our PT clinics, but it still takes time. Because of this, it’s not a bad idea with a new site (or one that’s never been optimized) to budget for SEM ads. That way, you get top visibility in the searches you care about and drive traffic while your website steadily becomes more organically powerful. If you already have a successful website that is generating new patients for your established practice, then you should play to that strength and keep focusing digital marketing resources on the maintenance and enhancement of that domain. When you open a new location, add a specific page to capture that clinic’s information and to highlight any differences in services or treatments. Then, run an SEM campaign to drive traffic to that clinic’s specific page. Make sure to include a Make Appointment form on the page for better conversions. Are you located in a major city with lots of physical therapy clinics? Or have you started to see a sharp decline in appointments booked from your website? If you answer yes to either question, then you should strongly consider an SEM campaign. For practices in large cities, your website will be competing with a larger market that could include hospital groups or regional clinics. Starting an SEM campaign in this market can become expensive. Try focusing on more specific terms (post-surgical rehabilitation v. physical therapy) to improve results at a lower cost. Did you just open a gym that specializes in sports rehabilitation and performance training? Are you offering massage therapy, dry needling, or yoga? These are all specific services that could generate a lot of revenue for your practice. Running an SEM campaign based on keyword groups for each search term can add visibility to these treatments. Then, create a specific webpage for each service and coordinate an SEM campaign to drive traffic to those pages. PRO TIP: Have you noticed a drop in stats from website? If so, you might have a local competitor who is running a broad SEM campaign. Try searching for “physical therapy [town]” with your town’s name. Then, see who pops up as the paid SEM ad. Choosing to start an SEM campaign is a considerable effort and financial investment. 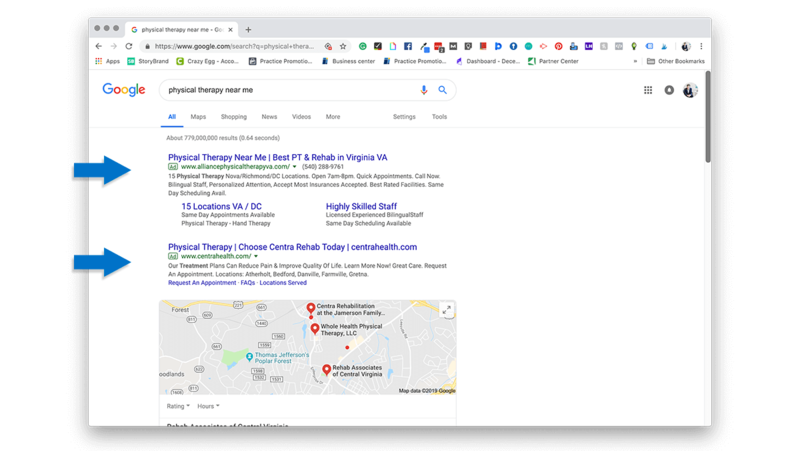 But, knowing that the vast majority of new patients are searching online to find physical therapy near them means that you need to expand your digital marketing efforts to drive more website conversions.